Bondo is the perfect repair product that it is widely known as a cavity filling substance for rusty and deformed vehicles, it is not meant for that alone. It has been used on variety of surfaces, like wood, fiberglass and metal, and also it is used to modify the outlook of computer cases and to repair cracks and dent in surfaces. 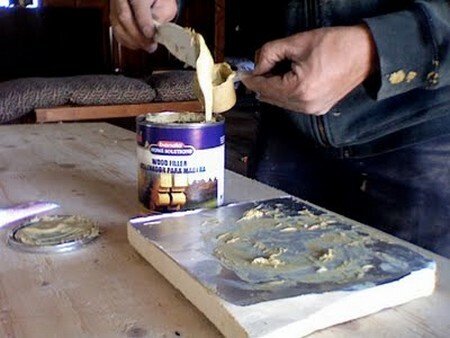 Bondo is an epoxy adhesive made of two separate substances. Both substances were thoroughly mixed together to form the Bondo. Bondo can be easily shaped out when it is wet, but dries it becomes very harder, so it is tough to repair the dent surface. Before we are going to repair dent we have to take some important materials, that things were Bondo mixture, paint pan to keep this mixture, putty knife, sander and sand paper to clean the surface. Now we are going to see the step by step process how to use bondo. First we have to clean that dent surface thoroughly with sand paper or sander; we have to be very careful that dent area is clean. Since clean surface is perfect for solid patch. Next, place some amount of Bondo in paint pan. Small amount of bondo is enough for small dent. Then take the hardener put some to paint pan and with the help of strip mix the mixture together. We have to mix this mixture properly to make the bondo harden. Then scoop that well stirred mixture with putty knife that we got already and apply to your dent surface. You have to be fast enough to do this, since this mixture will harden quickly. Fill the mixture evenly on the dent. Make sure that edges of the cracks should not contain any moisture or seeping of water, if though dries it. After apply the mixture allow it to dry for 45 minutes. It took plenty of time harden completely. But if you found that the surface is still soft more than an hour, then you didn’t added enough hardener to your mixture. After it hardens sand your surface with medium sand paper. Before it wear your face mask to avoid inhaling of dust. Run the sandpaper thoroughly to even out the big ridges. Take fine grit sand paper to sand your surface to get fine finish. Sand your surface up to your satisfaction. When you run hand over that surface you have felt good and it should be even, Up to that you have to sand. Then wipe that surface with clean damp cloth. Now the surface is ready to paint before it makes sure that all traces of that bondo are removed.